You are awesome! You helped Conan Daily survive 2018 despite being a little puppy in the jungle of online publications full of savage beasts particularly in the industry of mixed martial arts, which we love to write about. ONE Championship has played a big role in keeping the Conan Daily readers engaged and updated. Please help us pay tribute to the Singapore-based martial arts organization by answering the survey with 22 questions below. 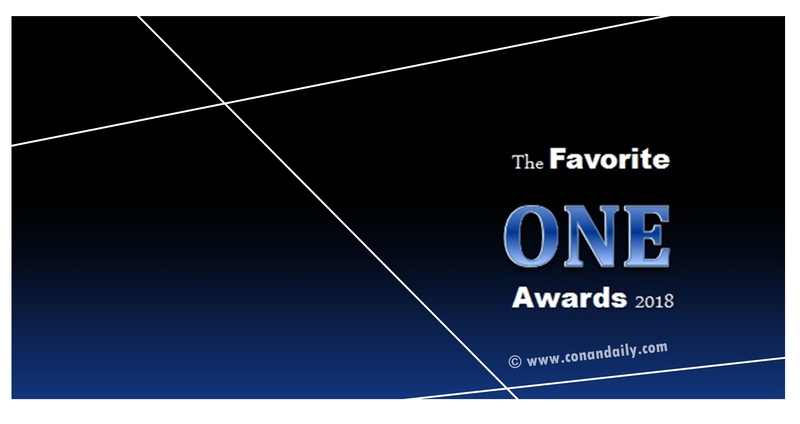 The Favorite ONE Awards 2018 aims to recognize the people the fight fans love to see and hear about inside and outside the ONE Championship cage. Conan Daily will not be able to hand out glossy golden trophies to the winners in a glamorous awarding ceremony. But the website will dedicate an in-depth feature article (including an interview if possible) to each of the favorite ONE person you, readers and fight fans, choose. Voting runs from November 30, 2018 to December 31, 2018. You may give 1 vote per category per day. Results will be announced and published on January 1, 2019. 1. Among the MMA fighters who made their debut in ONE Championship in 2018, who is your favorite one? 2. Who is your favorite atomweight fighter in ONE Championship? 3. Who is your favorite female strawweight fighter in ONE Championship? 4. Who is your favorite male strawweight fighter in ONE Championship? 5. Who is your favorite flyweight fighter in ONE Championship? 6. Who is your favorite bantamweight fighter in ONE Championship? 7. Who is your favorite featherweight fighter in ONE Championship? 8. Who is your favorite lightweight fighter in ONE Championship? 9. Who is your favorite welterweight fighter in ONE Championship? 10. Who is your favorite middleweight fighter in ONE Championship? 11. Who is your favorite light heavyweight fighter in ONE Championship? 12. Who is your favorite heavyweight fighter in ONE Championship? 13. Who is your favorite ring girl in ONE Championship? 14. Who is your favorite commentator in ONE Championship? 15. Who is your favorite referee in ONE Championship? 16. Who is your favorite coach of a ONE Championship athlete? 17. What is your favorite MMA team competing in ONE Championship? 18. Which country is your favorite host to ONE Championship events? 19. Who is your favorite female reigning champion in ONE Championship? 20. Who is your favorite male reigning champion in ONE Championship? 21. Who is your favorite ONE Championship superfighter? 22. Among the newly signed ONE Championship athletes, who is your favorite one? Please show some love to our ONE Super Series athletes, as well, by voting for your favorite Nak Muay and kickboxers in The Favorite ONE Super Awards 2018. Thank you very much for your time and your votes.